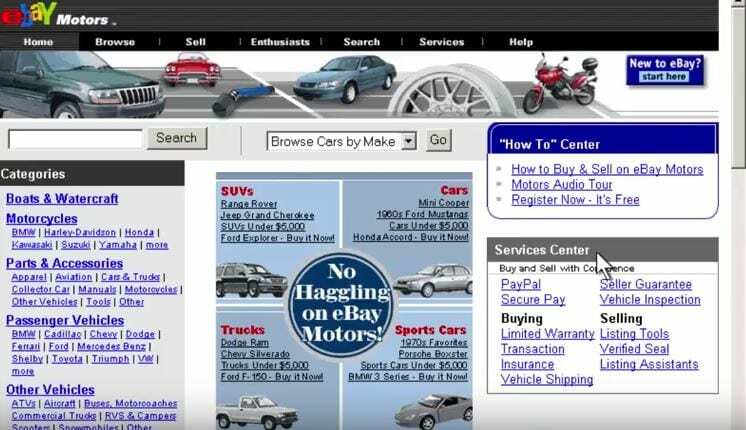 Autodemo Throwback Thursday takes us back to 2003. eBay was popularizing their Motors section for automobile buyers/enthusiasts. Way back in 2003, Autodemo was available to assist with this nifty demo video. Different vehicles, services and parts were available at the click of a button. But how did it work? Well, it follows the same pattern that the main eBay site follows. The difference is that there are additional sections to each vehicle entry. You can better check seller info and a buyer can calculate what their monthly payment will be for their new vehicle. eBay Motors offers something for every potential online car buyer. Under the picture gallery of an automobile, a buyer may also find the active vehicle history for their future purchase. Proxy bidding is also available, which lets eBay automatically bid on the vehicle to a maximum amount. This is an automated tool designed for buyers that don’t have all day to spend on a car auction/sales site. 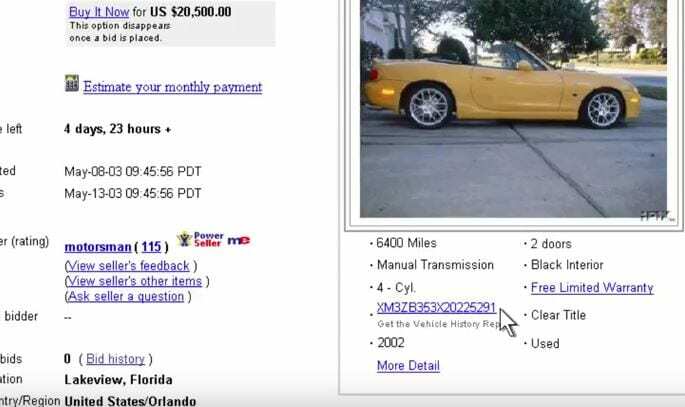 Some cars sold on eBay motors are eligible for services that are available by clicking the service tab at the top of the screen. The video is a pretty straightforward Explainer that seems quaint given the modern end user’s familiarity with eBay and the sites its spawned. While it’s neat to see how eBay Motors began and its early offerings of purchase insurance/other services; a simple fact remains. Given 13 years advancement in time and technology, not much has had to change. The tabs and menus have moved around the page, but the same ease of use depicted in the video remains today. What Else Was Happening in 2003? Autodemo Throwback Thursday is taking another trip back in time. How well do you remember 2003? Feel free to share our Top 10 Happenings of 2003 with your friends and fellow industry influencers. At the cinema, Lord of the Rings: The Return of the King, Finding Nemo and Seabiscuit were winning over audiences. The Department of Homeland Security officially began operations. Arnold Schwarzenegger was voted in as the Governor of California. Saddam Hussein was captured in a hidden bunker outside of Tikrit. Apple opened the iTunes store in April 2003. LinkedIn would launch in May. WordPress and the Safari browser also made their debuts that year. Microsoft Windows Server 2003 was released March 28, 2003 to the fanfare of IT employees. Valve introduced Steam September 12, 2003. Where will we go next? Autodemo will keep throwing it back every other Thursday for you.